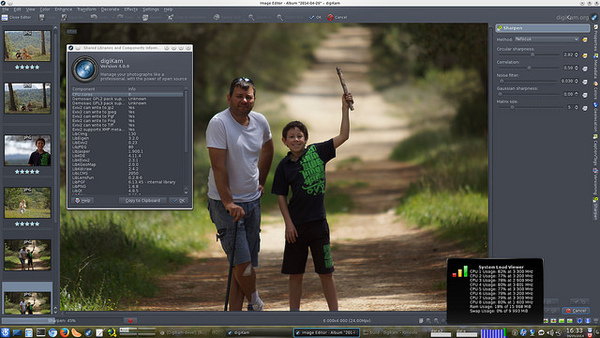 DigiKam photo manager released new major version 6.0 recently with many great new feature including video files management support as photo. Full support of video files management working just like photos. 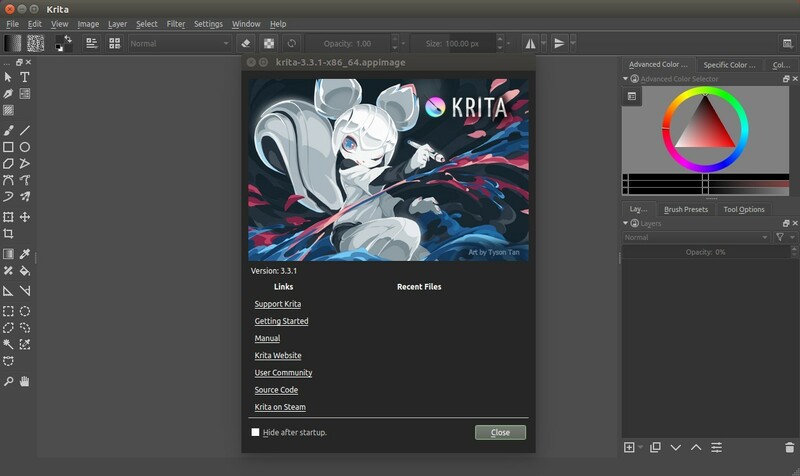 An integration of all import/export web-service tools in LightTable, Image editor and Showfoto. Raw file decoding engine supporting new cameras. Similarity data is now stored in a separate database file. Simplified web-service authentication using OAuth protocol. New tools to export to Pinterest, OneDrive and Box web-services. The capability to re-organize the icon-view contents manually. There’s no PPA repository, snap package, or flatpak package for the latest DigiKam. So far there’s only Appimage available to make it easy to run DigiKam in Ubuntu. Finally run the appimage to launch digiKam. The open-source digital painting software Krita 3.3.1 was released a few days ago. Features some important bug-fixes and performance updates. 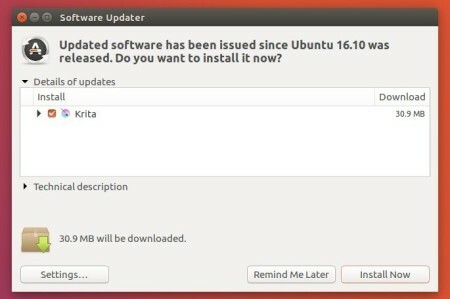 To remove the PPA, launch “Software & Updates” utility and navigate to Other Software tab. The Darktable photography workflow application reached the 2.2.5 release a few days ago with some new features, new cameras support, and various bug fixes. There are also some new features and bug fixes, such as Darktable now do not fail if reading of EXIF from the original file fails, support XYZ as proofing profile, some GCC7 build and Mac packaging fixes, and fix some crash issues. The new release has been made into this PPA repository, available for Ubuntu 16.04, Ubuntu 16.10, Ubuntu 17.04, and derivatives. Type in your password (no visual feedback) when prompts and hit Enter. 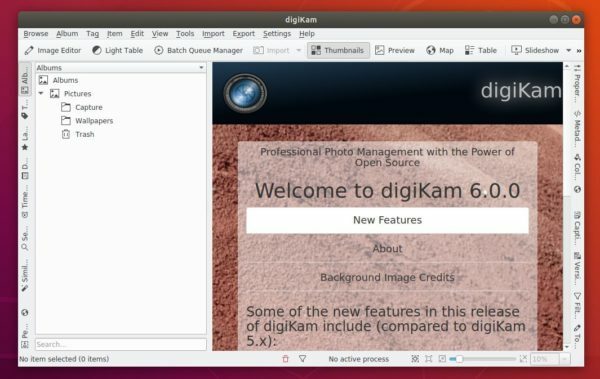 Free and open-source photo management software digiKam 5.4.0 has been released today several improvements to the similarity search engine and a complete re-write of video file support. Possibility to drag and drop an image into the Fuzzy search without import it. Batch Queue Manager can now process only the current queue. Includes latest libraw 0.18 with a long list of new supported cameras. and see more in the release note. 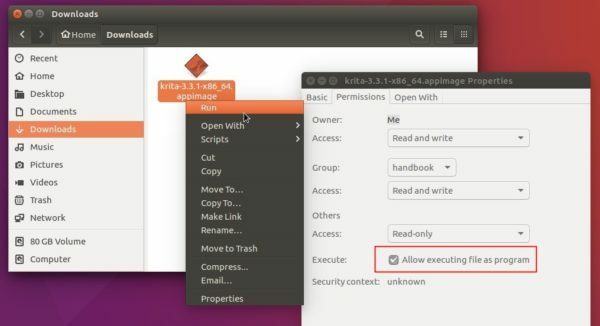 Then make the file executable from its context menu Properties window -> Permissions tab -> check “Allow executing file as program”. 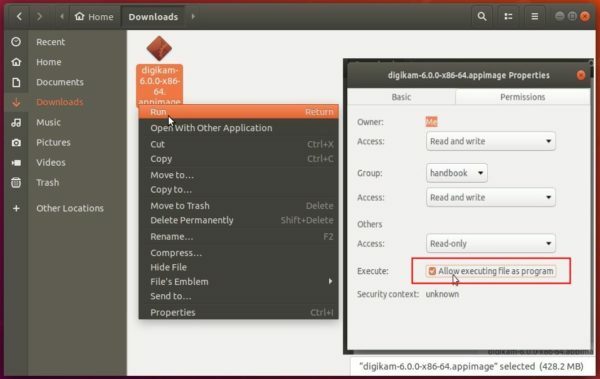 Finally click run the .appimage file to launch digiKam. Tip: There may be a small delay for new releases being made into PPA, you may check the above repository link before adding it. 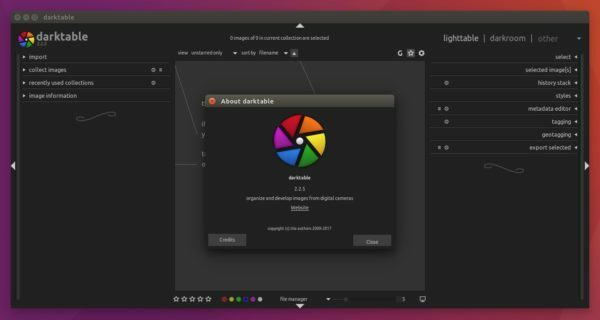 Darktable 2.2, a new stable series of the open-source photo workflow software, was finally announced on Christmas Eve. After 3 release candidates, Darktable 2.2 stable was finally released with over 2k commits since 2.0.0. Also 298 pull requests and 360+ issues have been handled/closed in the new release. In Highlight reconstruction module, the mode LCh reconstruction was completely rewritten, and is no longer useless! Darkroom: the preview (in top-left corner) is now no longer pre-demosaiced (but just downscaled without demosaicing it at the same time), thus the preview, color picker, histogram show the proper results, especially when there is highlight clipping. Type in your password (no visual feedback) when it asks and hit Enter. 2. 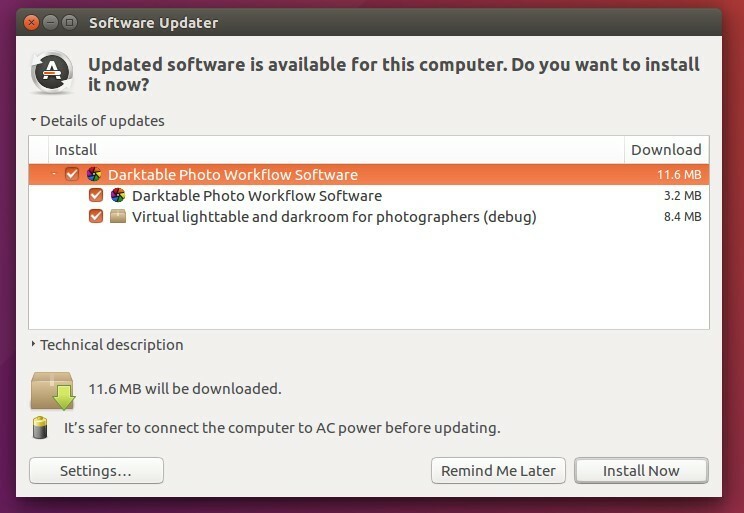 For those who have a previous release installed, launch Software Updater (or update manager for mint) and upgrade Darktable after checking for updates.